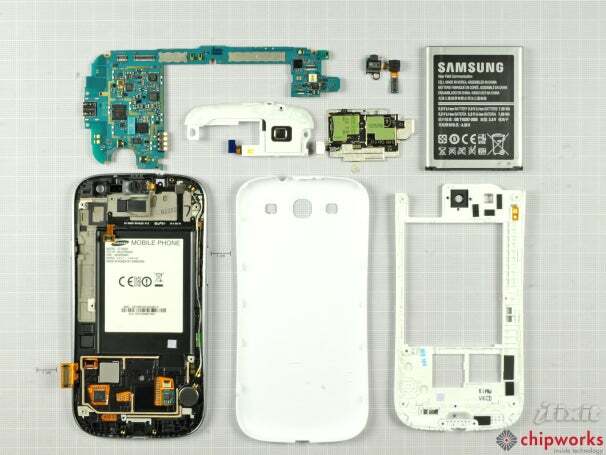 We're immensely jealous of our friends over at iFixit and Chipworks who got their hands on the hotly anticipated Samsung Galaxy S III. Doing what they do best--tearing things apart to show you how to fix them yourself--the two teams give us a look inside Samsung's monstrous new phone. While I'm not going to cover every single thing that iFixit and Chipworks found inside of the phone--you can see that for yourself on their website--here are some of the highlights. The Galaxy S III has a 2100mAh battery which, while not as big as the 3300mAh battery in the Droid RAZR Maxx, is still bigger than the 1750mAH battery that comes with the Samsung Galaxy Nexus. The battery also contains the phone's NFC chip, and humorously asks that users consult the phone's manual before use. 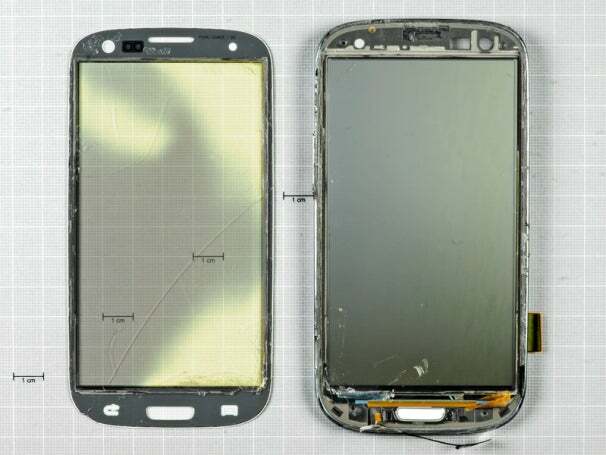 The glass on the phone is fused to the display (which, in turn, is fused to the frame on the Galaxy S III), and iFixit points out that this will likely increase the cost of replacing your screen should you ever drop your phone and crack it. Samsung is utilizing Corning Gorilla Glass 2 for the Galaxy S III's display, which is supposed to be as tough as the original while being 20 percent thinner. But iFixit also notes that Corning isn't saying whether or not the new glass is any better at resisting damage. 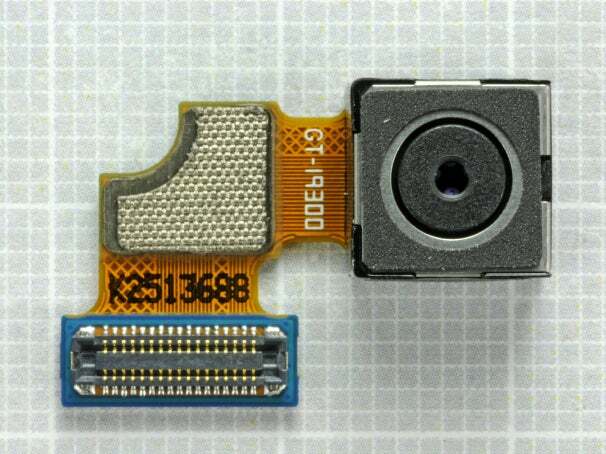 The most interesting thing that this teardown revealed, however, is that the Galaxy S III's 8-megapixel camera uses the same sensor found in the iPhone 4S. Whether or not the Galaxy S III takes better pictures than the iPhone 4S remains to be seen, but we'll have a complete camera comparison between the two phones our S III shows up in the mail. One place where the Galaxy S III definitely has Apple beat is on its front-facing camera: At 1.9-megapixels, it's likely that the Galaxy S III's camera will be vastly better than the VGA camera on the iPhone 4S. The iFixit team has yet to give the phone a Repairability Score, but they should have one up sometime in the near future. Be sure to check back here for more Samsung Galaxy S III news and a full review of the phone when it shows up in our mailbox.